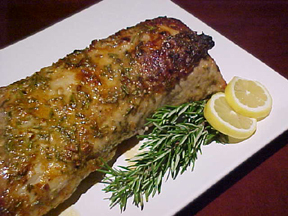 Fresh rosemary, dijon mustard and minced garlic combine to make a fabulously moist pork loin. 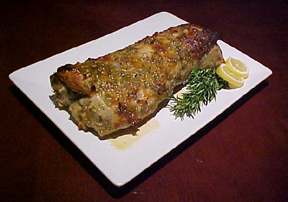 The mixture makes a slight “crust” on the pork, and the acids in the marinade penetrate and tenderize the meat for a mouth-watering main dish. 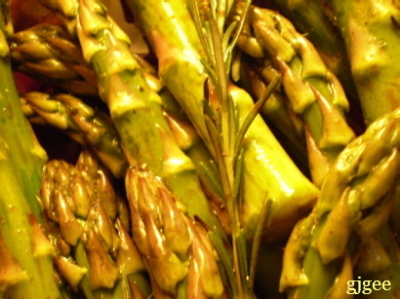 In a small bowl, whisk together garlic, rosemary, salt, pepper, olive oil, vinegar, mustard, lemon juice and brown sugar. Pour over fat side of pork loin, rubbing some on the bottom and ends. Wrap tightly with plastic wrap and marinate overnight (this is optional, but marinate at least 30 minutes before roasting). Preheat oven to 400 degrees. 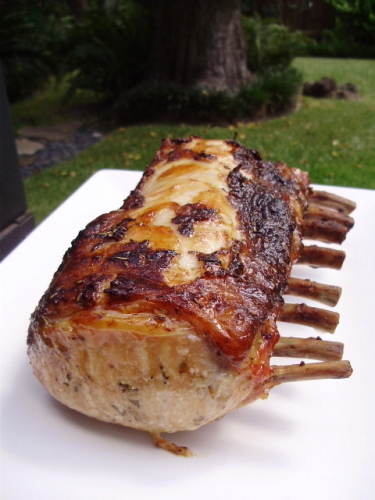 Place pork on rack in roasting pan and bake for fifteen minutes. 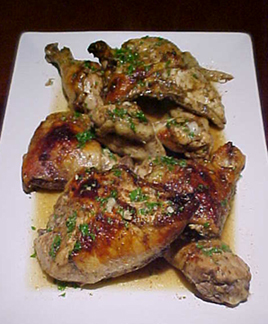 Reduce heat to 325 and continue cooking until internal temperature reaches 155 degrees, about an hour and a half. 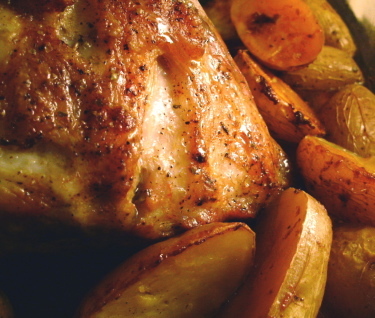 Remove from oven and tent, letting roast sit for at least 20 minutes before slicing. 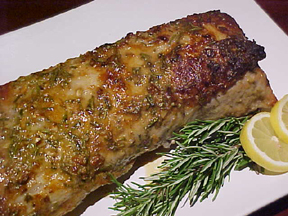 Adapted from a recipe from Stop and Smell the Rosemary by the Junior League of Houston.